Giancarlo Stanton has spent his entire Major League Baseball career belting out home runs, And languishing in Miami. But as of December 11, the latter changed and the New York Yankees are the proud new home of one of the finest power hitters in the game. Between their surprising 2017 campaign that saw the Yankees reach the ALCS, and the addition of the league's biggest power threat, demand for Yankees tickets on the secondary market is on the rise, especially for next season's Opening Day at Yankee Stadium against the Rays on April 2nd. 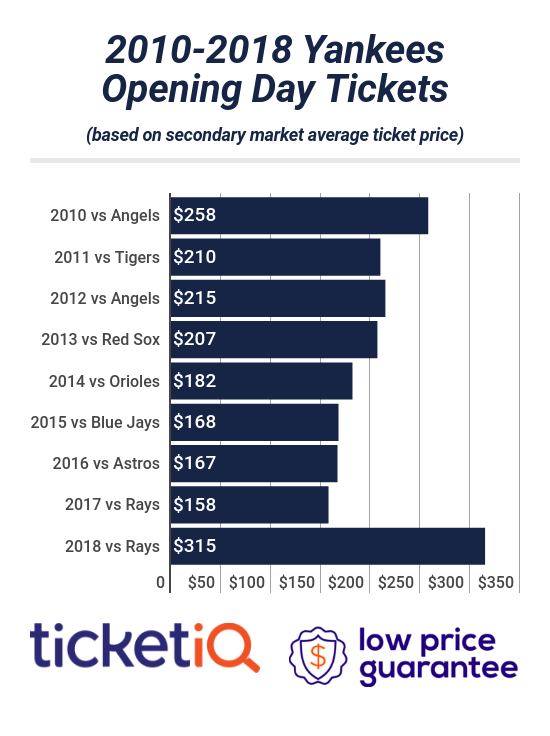 Since TicketIQ.com began tracking data eight years ago, the previous high-water mark was $258 in 2010, the year following the Yankees last World Series victory. But next season, the average asking price for a seat on Opening Day is currently $315, up 14 percent since the Stanton deal. The get-in price is currently $91, which is up 12 percent since the trade. That $315 price tag is nearly double last season’s $158 average, and the first time the Yankees will average more than $300 per seat for a home opener. 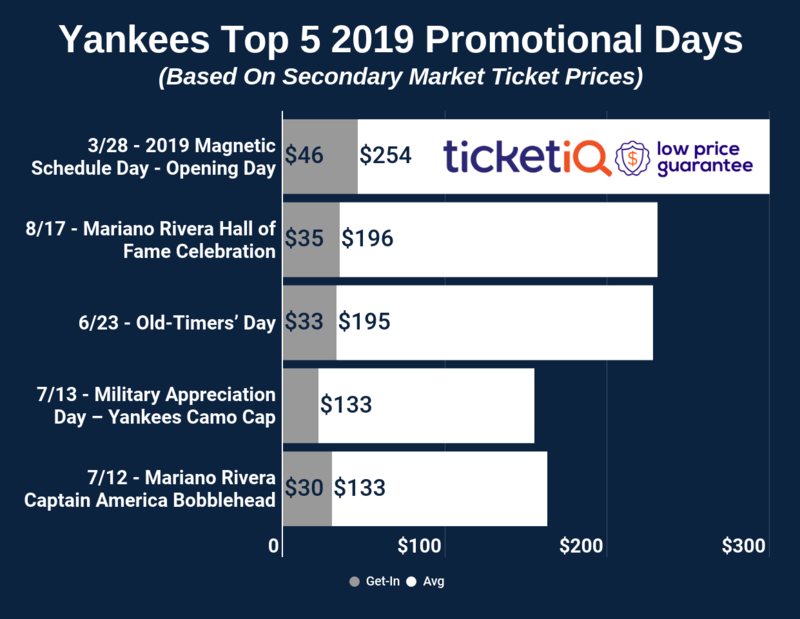 An Opening Day ticket at Yankee Stadium has not cost more than $200 since 2013 ($207) and, in fact, New York has seen opening day prices declining steadily over the last eight years on the secondary market. Whether you want an up-close-and-personal view of Stanton’s debut or you just want to say you were in the ballpark, TicketIQ.com is the place to buy tickets. Among TicketIQ.com’s Low Price Guarantee listings, as of December 14, Yankees Opening Day tickets could be had for as little as $136 in Section 429 of the upper deck down the third-base line, or as much as $552 for a prime spot in Row 1 of Section 225, just about even with third base.